Beyond the City explores the relationships between the residents of three adjoining homes. The cast of characters includes a widowed doctor with two daughters, a retired admiral with a wife and son, and a feminist living with her nephew. Destiny brings these three peculiar households together in the placid English countryside. The desire for money and romance drive these Victorians beyond the natural boundaries of their middle-class lives. As the web of lust and deceit draws these accidental neighbors ever closer, a financial scandal befalls one of them. An outside rank pirate is linked somehow to one of the neighbors. Who could it be? 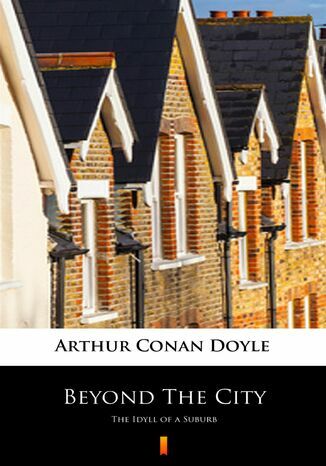 In this work, Conan Doyle exhibits the practiced subtlety and complexity for which he has become so well known.